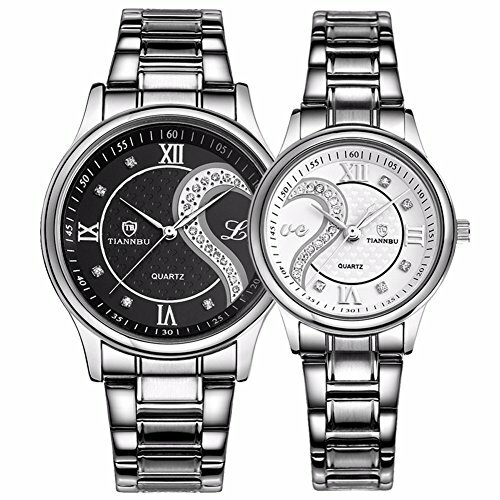 This his-and-hers watch set is designed for couples,Love will be everlasting! Genuine brand, special and elegant appearance,they are best choice as a present for anniversary,Valentine's Day and birthday! They are also creative casual wristwatch as wonderful gifts for friends. This watch is made of top quality Japan movement,genuine leather and stainless steel, wear comfortable.